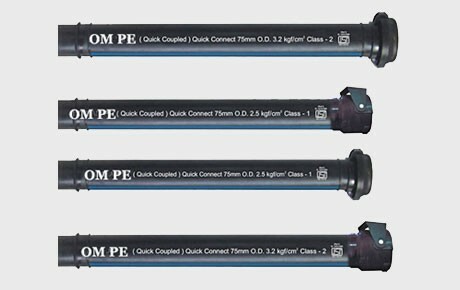 OM Sprinkler pipes are suitable for Sprinkler Irrigation System & are available in 63 mm. to 110 mm. size, having length of 6 mt. & 3 mt. with male-female Coupler. The pipes to be used in the system are made up from 100% High density polyethylene granuals. 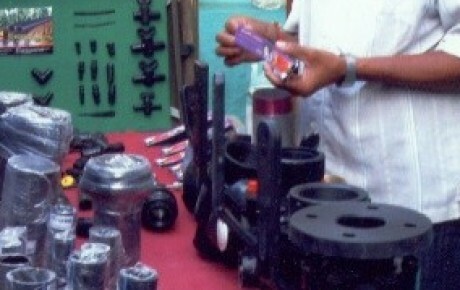 It also posses the IS standard mark as per IS : 14151 – 99 Part – II. 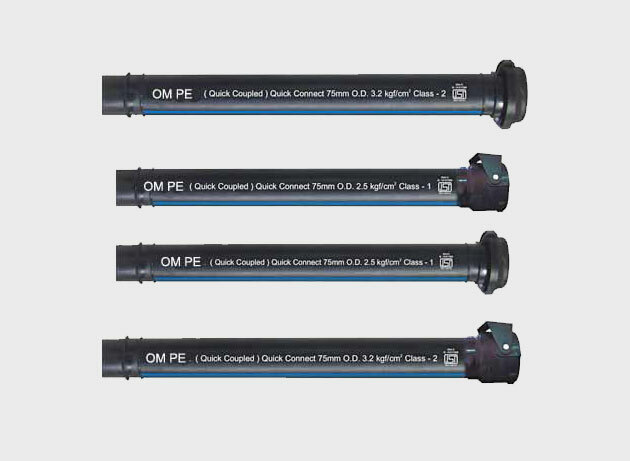 “OM” brand sprinkler pipes are light in weight, flexible & highly durable. Potable water supplies under water piping. For the purpose of left irrigation. Directly from canals, dams etc. Available in 6 Mt. & 3 Mt. length. C) Length 6 Mt. & 3 Mt. 5-6 Mtr. D) Flaw Initially 50 & more flow in comparison to others & retail that standard till end. Initially flow get reduced slowly because of rust.